By using ultrasonic cavitation 2.0 and vacuum rf technologies, directly reach the deeper fat cells, bringing fat cells to a fast-active state from the ultrasonic waves and production of localised heat, so that effective blood circulation. This increased localised blood circulation within the dermis which can tighten the sagging and loose aging skin. Your skin will have its elasticity improved aided by an increased metabolic activity. Then with the aid of the vacuum, the sweat glands and lymphatic system the excess fat and toxins are excreted out of the body. This vacuum suction and cavitation 2.0 further dissolves fat cells, strengthens the integrity of cells mitochondria, enhancing blood and lymph circulation with metabolism benefits. 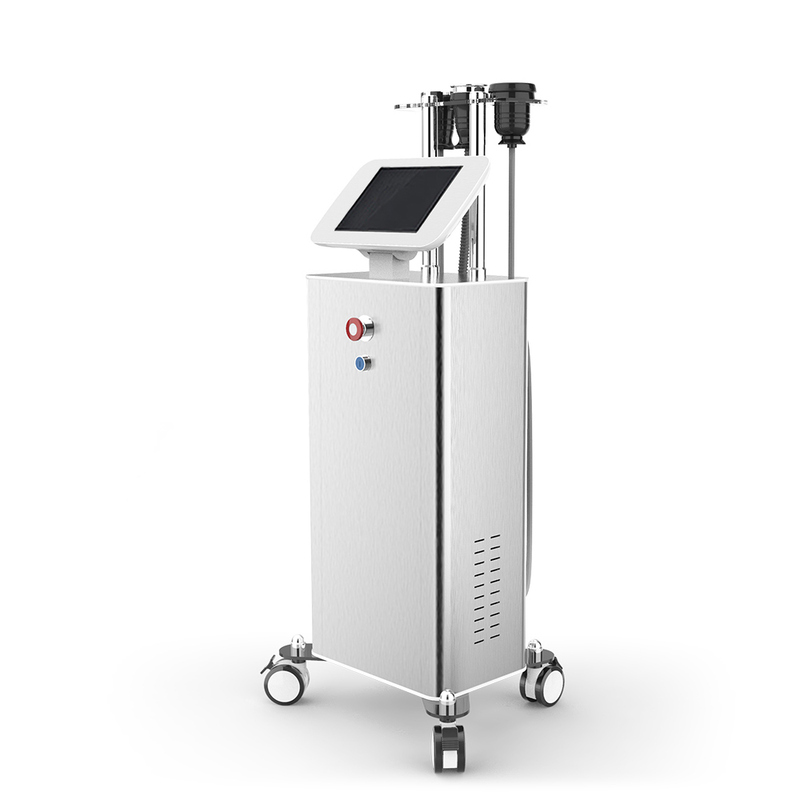 Thus, the result of vacuum cavitation 2.0 result will much better than single cavitation 1.0 or vacuum therapy. Combine unoisetion cavitation 2.0 and vacuum therapy, sucking the target fat then the cavitation will burn the fat cells on this area, fast destroy and metabolism. Cavitation destroy the fat cells by the negative pressure sucking target area, fast burn fat on the target area, fatty acids metabolism by body, fat cells decrease, body getting slimming, weight loss. Cavitation 40KHZ ultrasonic wave creation of many voids in fat cells, the fat cells will be blasted. results in celulite slimming, weight loss. RF radio frequency can help it fast get warm on skin dermis and make skin tightening. It use on belly, legs, waist and arm. Cavitation release 40KHZ ultrasonic wave creates many voids in fat cells When these microvoids "internal explosion", the fat cells will be blasted. It can results in celulite slimming, Weight loss. Also suction can help it fast speed up metabolism. It use on belly, legs, waist and arm. Vacuum RF are penetration of RF energy in the treatment area and local blood circulation, stimulates lymphatic drainage and assists in the shrinkage of fat cell volume. Efficient treatments for cellulite, body contouring and tightening of the skin. It use on belly, , thigh, back, arm, leg.